1 . 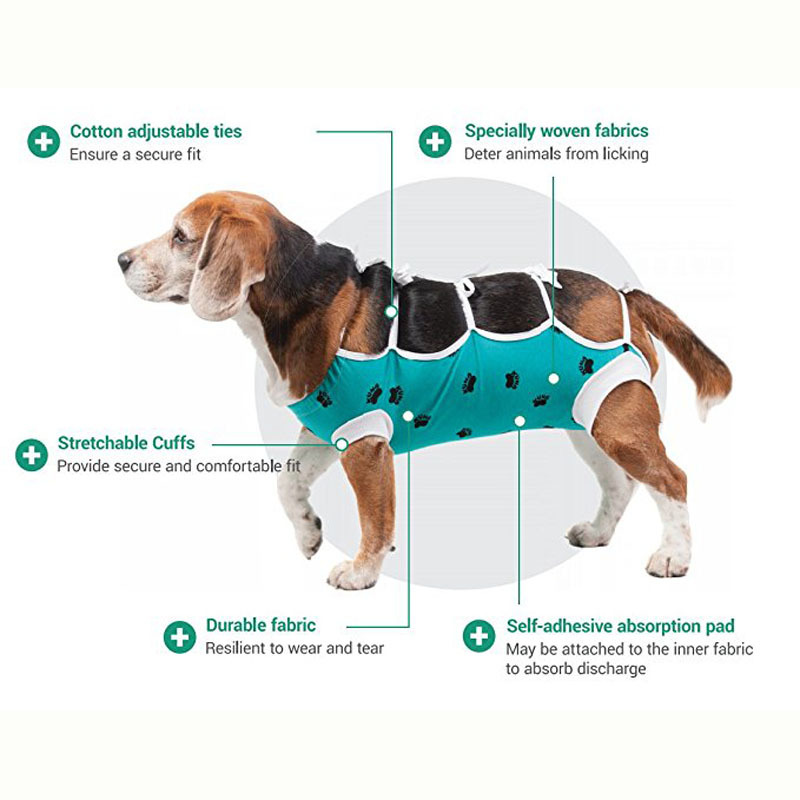 COMFORT AND SAFETY – Used by veterinarians as an E-Collar alternative to protect abdominal wounds for cats, dogs, and rabbits. Increases mobility, reduces stress, accelerates healing, and reduces the risk of infection by keeping the wound safely protected. 2 . MALES VS. FEMALES – After Surgery Wear has a cut in the back to allow most female animals to urinate/excrete while wearing the product. To ensure the abdominal area is fully protected, the product does not have an opening for male animals to urinate. Before going on a walk or letting male animals outside, the product must be partially removed from the back legs and retied along the body (see picture in listing). 3 . FABRIC – Specially woven fabrics deter most animals from excessive licking. Breathable and light fabric allows for constant air-flow circulation allowing the wound to heal safely. Fabrics are 100% pure cotton and hypoallergenic to prevent skin irritation. Machine washable (before washing, tie a knot at the end of each string to minimize fraying).